Alright, now that I have gotten that out of the way, let's move on to the juicy details.We aren't talking about just any old book here. We are talking about a sequel to Wallbanger! Wallbanger is one of my all time favorite books and also happens to be the first review I ever posted on this blog. All of Alice Clayton's books are the perfect blend of sexiness and humor and to say I am excited for this is an understatement. If that wasn't enough, in January 2015 she will be releasing a novella that will be the start of her new Hudson Valley series. As someone who grew up in New York's Hudson Valley, I cannot wait for this! 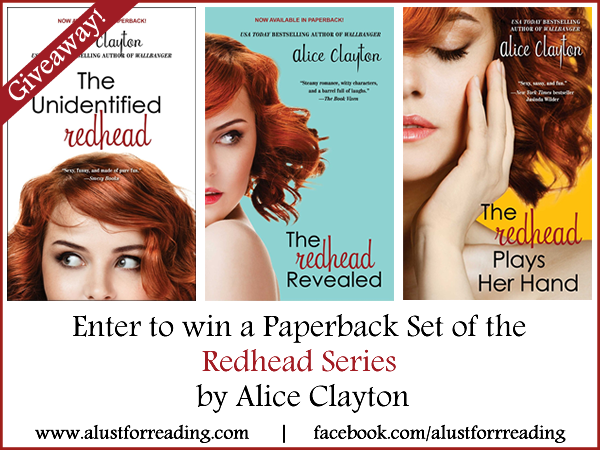 One (1) winner will receive a paperback set of the Redhead Series by Alice Clayton, which includes The Unidentified Redhead, The Redhead Revealed and The Redhead Plays Her Hand. Open to US/Canada residents only. Wallbanger!! I have it on audio and love it!! Wallbanger is my fave,. I haven't read any others yet but they are on my TBR. 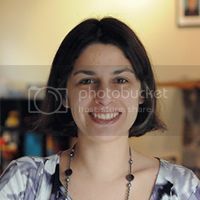 I loved Wallbanger!! The Redhead series is on my TBR list. I'm really looking forward to the rest of the Cocktail series!! Thanks for the giveaway! I've only read Wallbanger but I loved it! The others are on my tbr. Would love to win! Thanks for the giveaway! 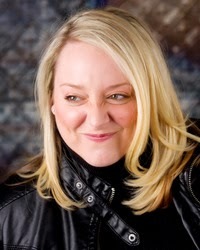 I haven't read any of her books, but I have Wallbanger on my tbr list to read! I haven't read Alice Clayton's books yet, but I'm most excited to read Wallbanger! I have not read any of Alice's books :( I am most looking forward to reading Wallbanger because I have heard it was so good!!! Wallbanger is my most favorite book by Alice Clayton. I cant wait for the 3rd book in the red head series! Loved Wallbanger and can't wait to read the rest of her books! !